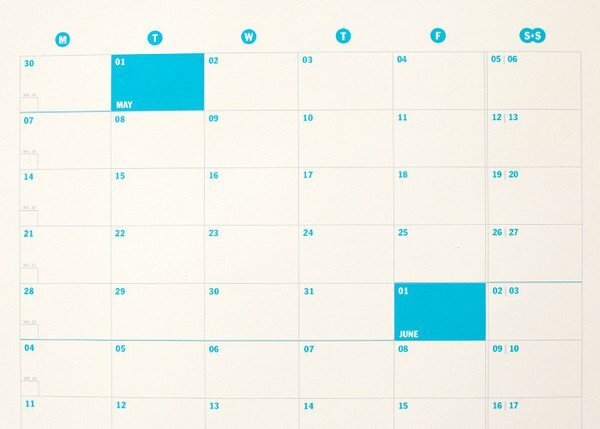 Quite fancy the NeuYear calendar for my studio as pretty fond of that colour ink they have used, but also the calendar could be useful. It’s pretty big at 27″ x 39″ and shows you the whole year at once which is dead handy. You also get two versions on one sheet: one side has a portrait version whilst the reverse has a landscape version. For the print aficionados it is printed on premium quality, cream colored, uncoated card stock with a vellum finish. Worth noting this is not dry-erase. 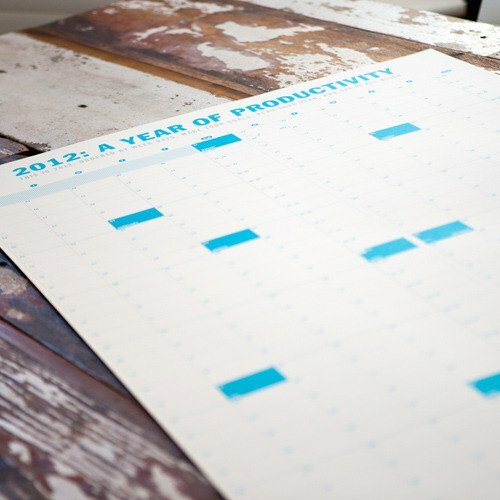 You can pick one up for $24 via NeuYear.net — Seize the Year: 2012 Calendar.